Alliance Bundle offers Point of Sale POS Systems starting at $99 a month. 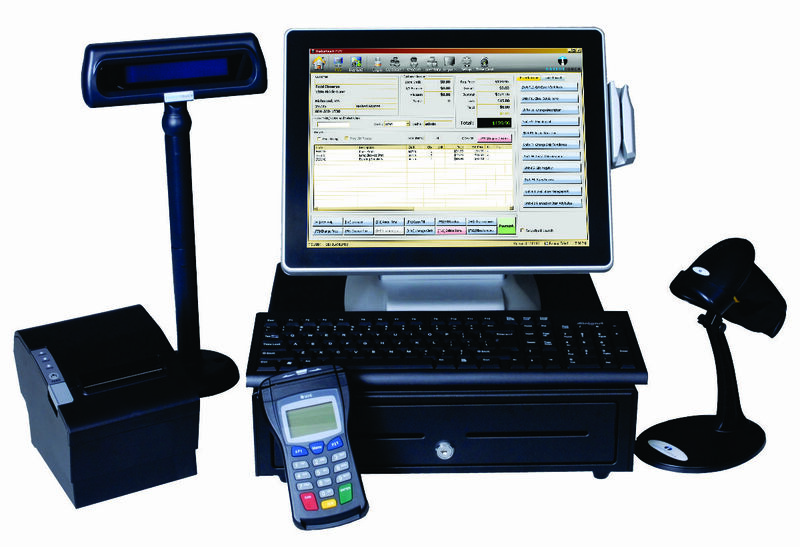 A Point of Sale POS Systems such as the Alliance Bundle POS System would be ideal. We have systems and software that will help your store run efficiently. How? By making inventory management simple and allowing you to track employee hours, wages, and activity. Our store and business POS System software allows you to generate vendor purchase orders, issue gift cards, and track your top selling items. Our software makes it easy to promote customer loyalty with rewards programs and coupon redemption. All these features and more will help save you time and money! In addition to that, you can easily track your products like the best selling products, the time of the day that your sell much as well as the day of the week to complete the experience. The remote access feature allows you to easily implement changes, improvements as well as price changes and increases anytime, anywhere you are. This gives you the flexibility that you need and will allow you to venture away from your business free from any kind of worries. You can also easily connect it to your PC, tablet or mobile phones for easier access and remote connectivity. This makes your life easier knowing that you have access to all of your business data anywhere you are and however you like it. In return, you’ll need not worry about discrepancies but you can focus on what’s important: improving your business performance. Our store POS System will enable your business to streamline its processes thereby allowing you to provide better customer experience and service. If you are interested in getting one of our a customized systems or if you have a few questions about what great deals we have offer, give our sales team a call! Call us now at 1-888-405-8706 now!